You probably don’t need statistics to tell you that distracted driving is a huge problem. Take a glance at other drivers and you’ll almost always find someone looking down at his or her phone instead of watching the road. For many, “distracted driving” translates to “teens texting.” And while it is a huge problem with younger drivers, 19% of all drivers admit to surfing the web while driving. And all those neat things your smartphone can do? Every one of them is a potential distraction, from texting to talking to surfing to using the navigation system … even chatting with Siri removes a driver’s focus from the task at hand. The toll in both human and financial terms is staggering: 3,100 lives lost in 2013 alone, and a cost of $175 billion annually in the United States. If you’re a business owner with employees behind the wheel, you’ve already felt the effects of distracted driving in the form of higher premiums, and you probably feel powerless to do anything about it. 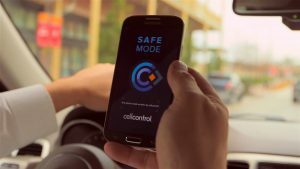 Consolidated is proud to offer the solution: we have partnered with Cellcontrol to provide technology that prevents texting, surfing and other unauthorized phone use while driving. With Cellcontrol, you’ll protect the well-being of your employees and reduce your firm’s risk exposure, limiting both the frequency and severity of distracted-driving accidents. How does it work? With a simple two-part installation: a device mounted on the windshield and an app installed on the driver’s phone. From there, you control all settings and restrictions for your entire team from a central dashboard. Disable texting, surfing, talking or all three … your drivers simply won’t be able to do those things while their vehicles are moving. Cellcontrol goes a step further as well, with reporting on braking, acceleration, routes taken and more, helping you to identify areas for improvement and further cost reduction. 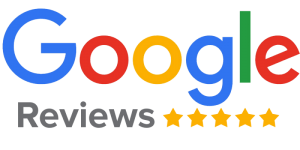 And Cellcontrol is not just for businesses: families can use the same technology to protect all their drivers for a one-time fee with no monthly service charges. For businesses and families, the Cellcontrol solution has two major benefits: first and foremost, it helps to keep your drivers safe and free of the temptations that cause distracted-driving accidents. Second, the proactive use of Cellcontrol clearly demonstrates that you are actively engaged in driver safety and risk reduction. That helps you to tell a better story to insurers, and as you know, that’s always our goal at Consolidated Insurance. Learn more about Cellcontrol here, and contact us for further information or a quote.